and positioning your organisation for future growth. 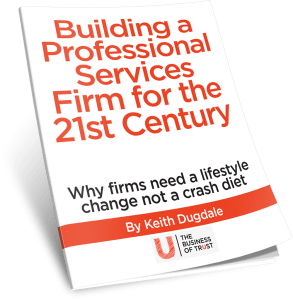 In this paper, Keith Dugdale discusses why firms need a lifestyle change and not a crash diet. 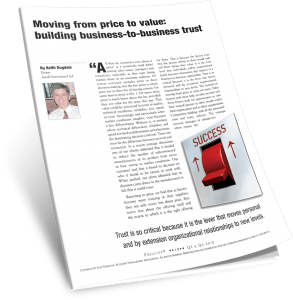 How to build business-to-business trust. An article written by Keith Dugdale for the Strategic Account Management Association (2012). 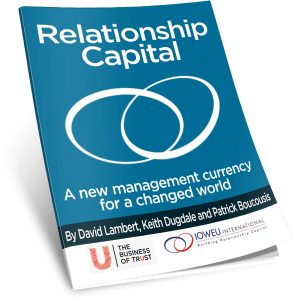 In this paper, Keith Dugdale, David Lambert and Patrick Boucousis look at why organisations need to focus to a greater degree on managing the quality of their business relationships.